If you’ve successfully completed the Day 1 and Day 2 of the GM diet, then you’ll find the Day 3 meal plan much easier to handle. The hardest days (1 & 2) have passed away and now it’s time to mix up the things. Yes, you heard it right. We’ll be mixing up the Day 1 and Day 2 diet regimens to form the Day 3 General Motors diet regime. On this day, you’re allowed to eat fruits and vegetables in any combination of your choice, of course excluding the Bananas and Potatoes. 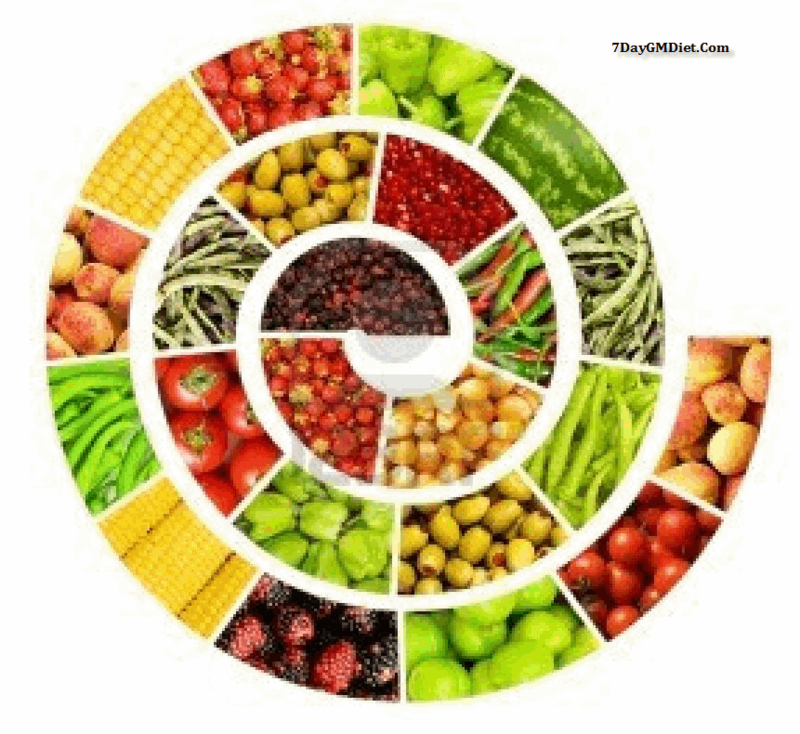 How to Prepare Your Body for GM Diet Day 3? You should also say goodbye to Potatoes on Day 3 because you’ll get the carbohydrates your body needs from the fruits. Now, your system is fully prepared to shed those excess calories from Day 3 onwards. You’ll still have light food cravings on the Day 3 as well but those will be diminished by the time you reach to Day 4. Also, try to perform breathing exercises like Pranayamam in the morning on Day 3. Doing so will help you get rid of those tensions you gained from Day 1 and 2. In addition, you can do some Yoga exercises to stay active. Breakfast: You can choose between Apples and Watermelons but remember not to have both at a time. Choose any one. Lunch: Try to repeat the same lunch plan from Day 2 and mix some fruits to make your stomach happy. Dinner: You can consume any combination of boiled vegetables which include Lettuce, Broccoli, Carrots, Cucumbers, boiled beets etc… followed up with some fruits like Apple or Melon. Snacks: You can have tomatoes, fruits, greeny veg stuff all day without any issues. But remember to drink at least 8 to 10 glasses of water per day. Either of these. 1 Apple or 1 Cup of diced Melon along with 2 glasses of water. 1 bowl of Cantaloupe mixed with Papaya and try to drink at least 2 glasses of water. 1 bowl of mixed cucumber, lettuce and tomato with ½ boiled beet and 2 glasses of water. 1 Orange or ripe mango and consume 2 glasses of water. 1 bowl of boiled Broccoli, fresh greens and raw papaya and 2 glasses of water. Never drink fruit juices until Day 7 as they’ll contain more sugar and you don’t need it now. At this stage, you’ll already notice that your body has become 2 to 4 pounds lighter which are the positive results of the GM diet. Ensure you vary the consumption of fruits and vegetables for getting better results. You can either have the wonder soup made with cabbages or the power soup made with tomatoes when you feel hungry. If you’ve completed the GM Diet Day 3 successfully, then the other days are like 123 for you. Go on to the Day 4 GM Diet now where you’ll be surprised to see the diet regimen ;).